Home / RomanceClass Posts / Book / Product Reviews / Zuzu is a literary cat! Zuzu is a literary cat! Zuzu is a literary cat! 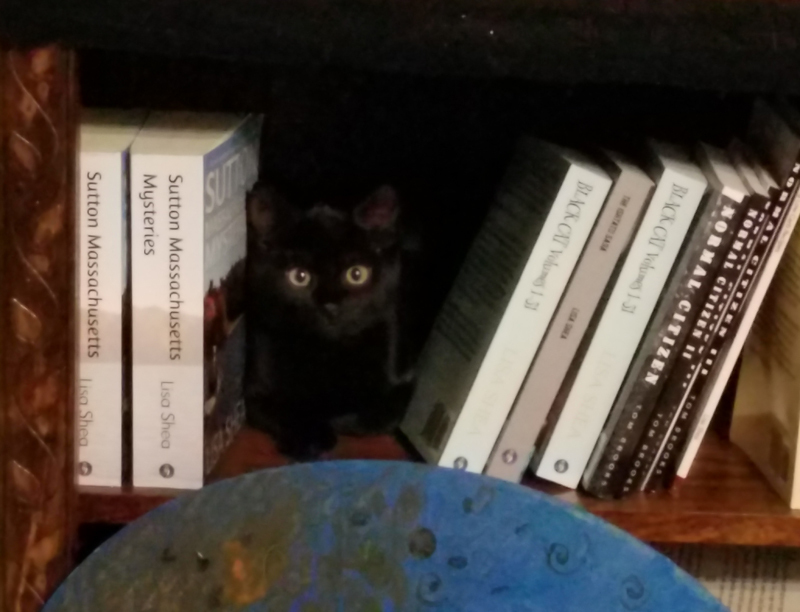 She’s curled up in between my Sutton Massachusetts mysteries, which feature her, and my Black Cat Salem mystery series :).